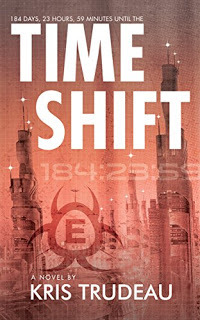 Time Shift is a smart, funny and thrilling science fiction novel filled with lovable and relatable characters. Author Kris Trudeau weaves a seamless story between four different time zones and more than 10 main characters. I absolutely loved all the attention to details in the story, including description of various “future” tools, cars, machines and equipment and the different way things are done in the future, including machine delivery pizza. The details give this book a very realistic feel even though quite a bit of the story is set in 2095 and 2097. Another engaging part of this novel is the characters. Even though there are quite a few characters in this book, the author takes her time and does a wonderful job of developing a story line for each character, including a past history, believable story line and fascinating personalities to match. While reading this novel I felt connected to many of the characters both male and female and found myself rooting for them throughout the story. While I am generally not a science fiction fan, I can honestly say I enjoyed this book thoroughly and had a hard time putting it down. There is enough in the book, with different relationships and different story lines that can draw in anyone who likes to read a good story with many twists and turns. I highly recommend this book and looking forward to Kris Trudeau’s future novels! I was provided with a review copy of this novel. Serious Health Concerns for Arash Sadeghi after a 42 day Hunger Strike! Arash Sadeghi and his wife Golrokh Ebrahimi Iraee must be freed immediately and unconditionally! Arash Sadeghi is an Iranian human rights activist who is currently serving a 15 year prison sentence on trumped up charges of “spreading propaganda against the system” and “insulting the founder of the Islamic Republic.” In reality Arash is a human rights activist who has been arrested, tortured and imprisoned for his peaceful human rights activities. Aras Sadeghi’s wife Golrokh Ebrahimi Iraee is also a political prisoner who is serving a six year prison sentence at the notorious Evin prison for “insulting Islamic sanctities”. Golrokh is a peaceful activist and a writer, and the true reason for her imprisonment is an unpublished story she wrote about stoning in Iran. 42 days ago Arash Sadeghi went on a hunger strike in protest to the arrest and imprisonment of his wife. There are some unconfirmed reports that Arash was able to hear Golrokh being tortured in a cell nearby. According to reports coming in from activists in Iran Arash’s health is deteriorating at an alarming rate, and prison officials have had no choice but to transfer him to a hospital outside of the prison. It is sad and disappointing to see this young and brave couple be sentenced to a combined 21 years of prison in the brutal Evin prison, for their peaceful human rights activities, while the Canadian Liberal Government turns a blind eye to this atrocity and considers re-establishing its political ties with the Islamic Regime in Iran. 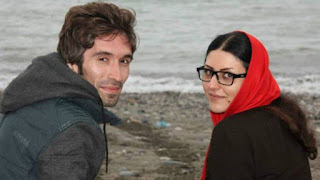 Arash Sadeghi, Golrokh Ebrahimi and all other political prisoners in Iran must be released IMMEDIATELY and UNCONDITIONALLY. Canada must start to hold the Islamic Regime in Iran accountable for the violent human rights abuses it carries out on a systematic basis.